Helping others should go beyond the walls of the courthouse. The TorHoerman Law Employee Foundation was established as a non-profit to use our company’s unique resources to benefit the communities we live and work in through various philanthropic efforts. The Foundation provides the opportunity for the daily operations of the law firm to merge with philanthropic efforts in the community. Run by a rotating board of TorHoerman Law team members, the TorHoerman Law Employee Foundation is made up of individuals who are committed to supporting our community through outreach, sponsorships, scholarships, and more. The foundation is a way to ensure that our firm is as dedicated to helping the community as it is about serving our clients. As lawyers, we have a responsibility to work together to help our neighbors. If you have a donation request, please send all inquiries to info@thlawyer.com. Many of our community members are not fortunate enough to afford a turkey for Thanksgiving dinner. The TorHoerman Law Annual Turkey Giveaway provides them with this opportunity. We would not be able to put on this wonderful event without the support of our gracious donors. This event is close to our hearts as we fully believe in giving back to the community, and every dollar we raise goes to support this mission. Interested in learning more? Read about last year’s turkey giveaway in our blog or watch the video above. As an educator, how could you innovatively spend a $2,000 grant to improve your students’ educational experience? Most of us have at least one friend or family member who has dedicated their life to educating our children; there are around 3.6 million full-time teachers in the United States. Did you know many of those teachers have had to use their own money to buy supplies for their students? These individuals are not required to do this but choose to anyway in order to ensure that their students have the best educational experience possible. On a teacher’s salary, which averages a modest $60k a year, buying expensive supplies for students is quite a sacrifice to make. TorHoerman Law decided to help our teachers with some of this burden. In September 2018, the TorHoerman Law Employee Foundation awarded two $2,000 grants and four $750 grants to local teachers to alleviate the costs of supplies. Interested in applying for 2019? Check back for more information. If you have any questions, please email Lindsey Andrews at landrews@thlawyer.com. Established in 2010, Edwardsville Neighbors (formerly known as Neighbors in Need) is dedicated to supporting the Edwardsville community by assisting individuals and families in times of crisis. Through various fundraising events such as ‘The Taste of Edwardsville’ or the ‘Turkey Trot 5K,’ the organization is able to actively promote the organization and accept nominations for those in need. “Through our efforts, Edwardsville Neighbors aspires to ease the burden of local families with various needs, while inspiring generosity and goodwill among the residents of the community,” Carie Terry, Edwardsville Neighbors board member said. TorHoerman Law is a proud business sponsor of the organization. If you would like to learn more or donate to this incredible organization, please visit the Edwardsville Neighbors website. Interested in Donating? Amazon Smile! The TorHoerman Law Employee Foundation is a registered non-profit organization with Amazon. 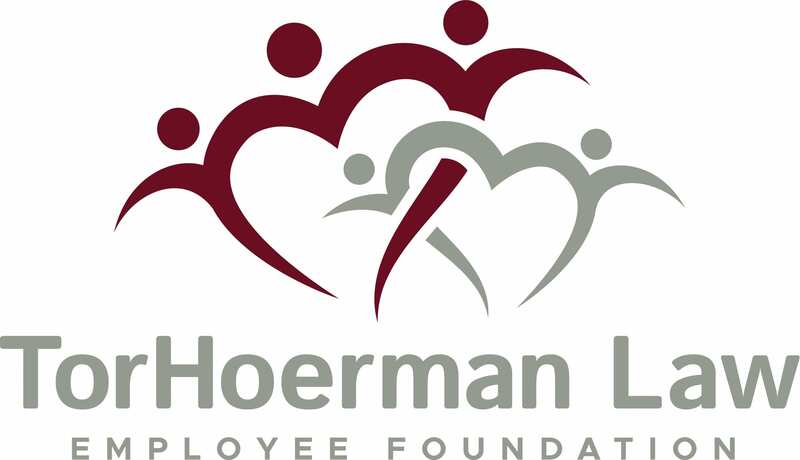 If you’re interested in contributing to our community efforts, please make the TorHoerman Law Employee Foundation your chosen charity.